Here it is food fans: The unbridled, unvarnished, unimpeachable list of the top 50 restaurants in Las Vegas. The essentials. In order of excellence. Unfettered by Max Jacobson’s loathing of all things Japanese, or Al Mancini’s insistence that a hamburger deserves the same respect as haute cuisine. Yes, we have gone from a oligarchy to autocracy, but we at ELV prefer to think about it as a benign dictatorship — one that applauds substance, talent, and hard work over hype. 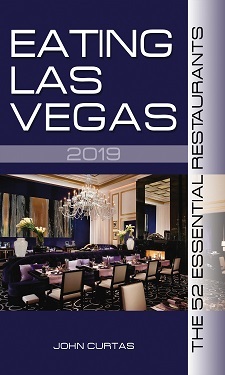 As owners of the book EATING LAS VEGAS – The 50 Essential Restaurants will note, much of the text is taken from our portion of the book. But we have made cuts and edits where appropriate (e.g. Valentino has closed and Marche Bacchus lost its chef and the food there no longer warrants top ten status), and will roll out our current top 10, one at a time, over the next week or so. Night after night, they lay in wait. Beseeching me. Haunting my thoughts, tempting every fiber of my body. It starts with the Bordier butter. Then they hook me with the incomparable bread basket. “The first one’s free,” is what they whisper. From that point on, all resistance is futile. How can truffled langoustine taste any more of either? What devil worshipper concocted beef cheeks braised with red miso in cocotte? Dishes like risotto of soybean sprouts or roasted duck and seared foie gras with cherries-and-kumquat compote lead me to the flame like a helpless hungry moth. This food is so intense and so faultless, it will destroy your capacity to appreciate anything less. 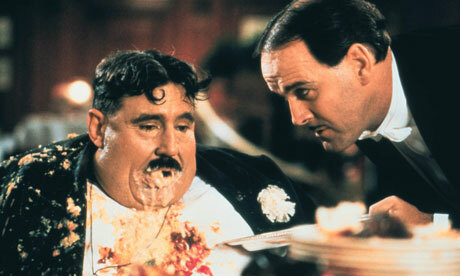 Someone needs to do something about how fat I am, and getting rid of this place would be a good place to start. Favorite Dishes: Roasted Farm Chicken With Château Chalon Cooked In Cocotte; Delicate Green-Pea Cream With Fresh Mint And Bacon; Chocolate Ganache Topped With Carrot Coulis And Almond Ice Cream; Caramel Crème And Toasted Waffles Mixed With Fresh Berries And Swirled Vanilla Blackberry Ice Cream. Basically the whole friggin’ menu. * Uh…hold on…wait a minute….that’s the way I want to die. I agree John completely. I would also say I put this JR outpost up against some of the best in the world. Easy for me to say JR at the MGM is serving up far more amazing dishes than the bastion of basque cuisine Arzak!